Today’s post is about some foods that are higher in fat then some junk foods for example a bag of potato chips. Some foods in this list are healthy and some are not. The not so healthy fats are the occassional treat. And the healthy fats are the fats you can consume on a weekly or daily basis. If you’re trying to lose weight, the first snack that tends to get the boot is potato chips. Oily, fried, and fatty. A bag of potato chips has more fat than other snacks, like pretzels. Take your average bag of Lay’s Classic Potato Chips, which has 10 grams of fat. While that doesn’t sound like much, considering that the American Heart Association says you should be eating 44-78 grams of fat daily based on a daily 2,000-calorie diet, it adds up when you eat other things that have fat. There are three different types of fats: saturated fats, unsaturated fats, and trans fats. Unsaturated fats are considered “good” fats, but the truth is saturated fats, like ones found in animal proteins and full-fat dairy, aren’t always bad for you. However, artificial trans fats are chemically processed to increase the shelf life of food and they’ve been linked to higher rates of heart disease, stroke and, diabetes. Not all fats are created equal. On the surface, one cup of sliced avocado may seem like a great way to pack on the pounds. But don’t be fooled by the whopping number of calories. Besides for all the vitamins and nutrients in this fruit, the fat an avocado contains actually has many heart health benefits. Don’t be fooled by the blueberries in this Dunkin’ Donuts muffin. With 15 grams of fat, which is equivalent to 90 calories alone, you’re not saving anything by thinking outside of the donut box. And at 43 grams of sugar, you’re literally loading up on calories without giving your body anything worthwhile. 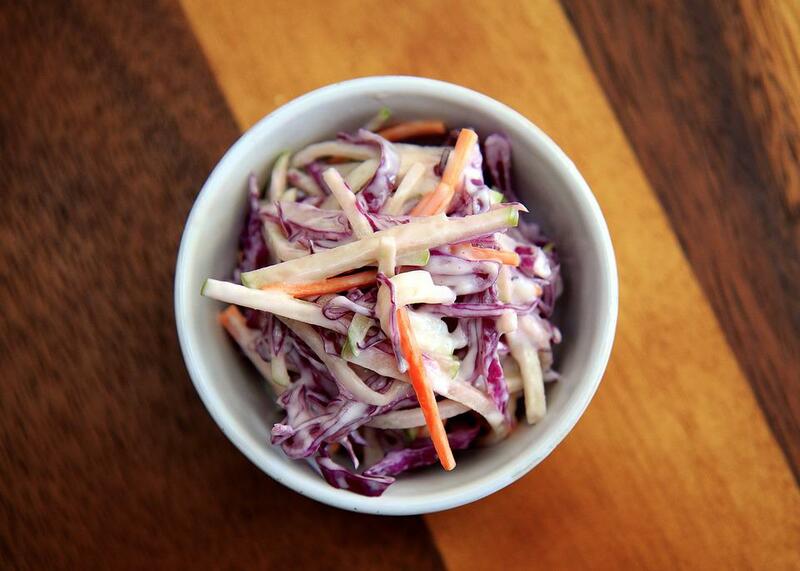 Cabbage is a super healthy vegetable filled with nutrients, anti-inflammatory properties, and vitamin K. But your typical BBQ coleslaw—the one with full-fat mayo and white sugar—isn’t the place to get your cabbage fix. In fact, you’re doing more harm than good by eating it. 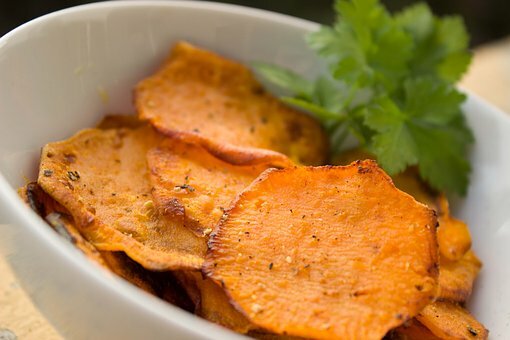 Of course, sweet potato chips would have less fat than white potato chips, right? Wrong! Ironically enough, Terra Sweet Potato chips have more fat per serving than a bag of Lay’s. Although sweet potatoes are a healthier choice than white spuds, at the end of the day, chips are chips. So be sure to watch your portion sizes in check if you grab a bag. Although a can of Campbell’s chicken noodle soup has more fat than a bag of chips, you’re actually better of having a cup for dinner than the empty calories in a bag of chips. After all, it’s filled with fiber-rich veggies and protein-pack chunks of chicken to keep you fuller longer. Trail mix is a tricky snack. It seems like it would be a healthy alternative to potato chips or pretzels, but many trail mixes are filled with salted nuts, sugared dried fruit, and extra candy. All these things not only add calories, but they take away from any nutritional value they could have had. True, there’s more fat in four ounces of a simply spiced and cooked piece of salmon. But the difference is salmon is filled with vital omega-3 fatty acids, protein, antioxidants, and potassium. 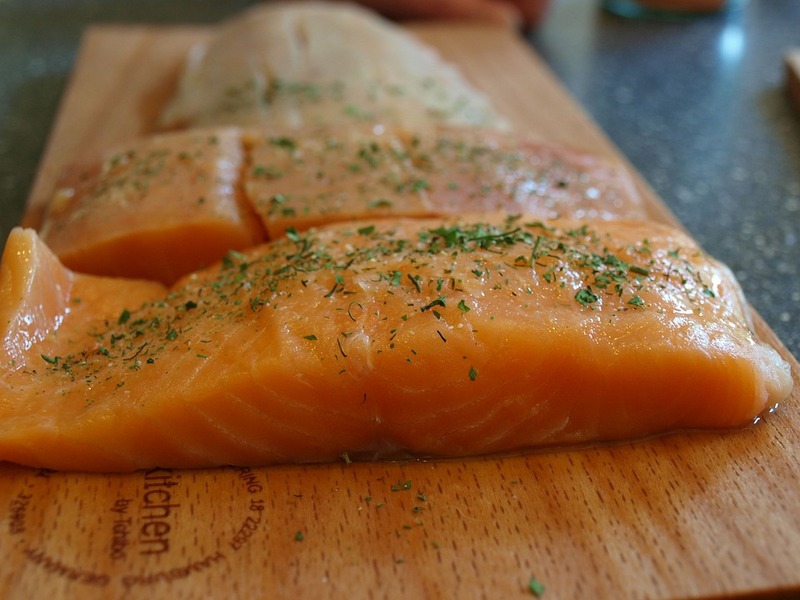 The omega-3s in salmon is vital for cardiovascular health as well as cognitive function. Peanut butter is high in calories and fat, but you are also getting a lot more protein than you would from a bag of chips. The tricky part of peanut butter is to make sure you’re eating the right kind. Many peanut butter jars contain hydrogenated oils, which have trans fats, that have a negative effect on your health. Organic peanut butter or freshly ground is best. I did two posts about some of the best and worst peanut butters that are out on the market today. If you are interested in reading the best/worst peanut butters here are the links. Chia seeds are a superfood. They contain omega-3 fatty acids, fiber, antioxidants, iron, and calcium. But they’re also super high in calories. 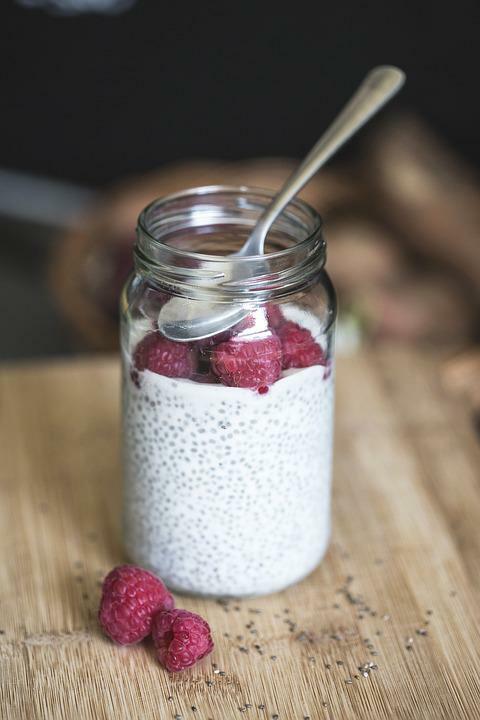 A simple cup of homemade chia seed pudding with almond milk can run over 200 calories. While they’re “fattier” than a bag of chips, these seeds are packed with protein and fiber to help you kick off your day. From roasted vegetables to baked chicken to salad dressings, olive oil is in almost everything we consume—and it’s fatty. All oils—even the healthier ones like coconut or avocado oil—are fatty, but the idea is to manage your fats so you are getting the right ones. If weight loss is the goal, stick to a tablespoon or substitute with a tasty balsamic vinegar in your dressings. Yes, nuts are high in fats, but many are also high in other health-boosting nutrients and powerful flavonoids. Flavonoids help our bodies destroy harmful free radicals and improve our heart health. So while macadamia nuts are bursting with health benefits, moderation is always best. Non-dairy doesn’t necessarily mean less fat. In fact, a lot of non-dairy products contain more fat and sugar than their dairy counterparts. This Haagen Dazs ice cream bar has 17 grams of fat and 31 grams of carbohydrates. You might as well break into a bag of chips, but neither is doing your body much good. Dark chocolate has been proven to protect against heart disease, lower blood pressure, and even improve brain function. It’s also a powerful source of antioxidants. The important thing to make sure is the bar you’re noshing on isn’t filled with added sugar or other processed ingredients, like this Dove bar. With anything that is not whole foods related moderation is key. And as your nutrition gets better overtime you won’t even crave the bad stuff anymore. And, like always if you have any questions about today’s post or just questions in general please,don’t hesitate in reaching out and i will be more than happy to answer any questions you may have.